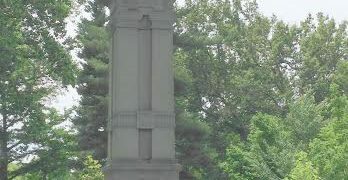 In the heart of Danville, Kentucky stands a Confederate monument. It’s a statue of Captain Robert D. Logan, described as a “chivalrous and brave soldier from the south who never shrank from duty.” Logan served in the 6th Kentucky Cavalry’s Company A. He was captured by Union forces in July 1863 and spent most of the remainder of the Civil War in federal prison camps. 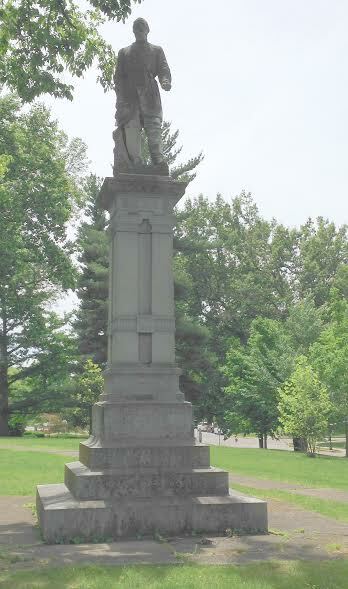 The statue was dedicated in 1910 by the surviving Confederate veterans of Boyle County and the local chapter of the United Daughters of the Confederacy. It was placed on the National Register of Historic Places in 1997 and is one of sixty separate Civil War monuments in Kentucky—some Confederate, some Union, some both—that have been placed on the National Register. The inscription on its base reads: CSA 1861-1865, WHAT THEY WERE THE WHOLE WORLD KNOWS. Just a stone’s throw away, on the campus of Centre College, stands a 16-foot-tall bronze statue of young Abraham Lincoln. Law book in hand, Abe faces the building that houses Centre’s library. Created by Louisville artist Ed Hamilton, the statue was unveiled in 2012 and has become one of the most popular gathering spots on campus. Is one of these statues less appropriate for public display than the other? That’s a hot button question in cities and towns throughout the south after last week’s dark-of-the-night removal of several Confederate monuments in New Orleans. Do we ease the painful parts of our nation’s history by removing their evidence, or do we leave that evidence in place and let it be a springboard for conversation and healing? There are no easy answers, but there is value in the debate. The time for Americans of various races, ethnicities and religions to sit down together and engage in civil and productive discourse about our nation’s often-troubled history is now. The Civil War is a good place to start. How could anyone believe it was okay for one person to own another? Should states have a right to change their mind about joining the union? What, exactly, was the Confederate “cause”? Why were people who’d never owned a slave willing to fight and die to preserve that peculiar institution? There are other questions. Was it right for the government to take the Indians’ land and force them onto reservations? Was it okay to take Texas from Mexico? Why were women denied the vote until 1920? Was it reasonable to force American citizens of Asian ancestry into internment camps during World War II? And why, even in these “enlightened” times, do some people seem to be more deserving of human rights than others? Such questions don’t go away just because we relocate a statue or knock down a monument. Maybe we should try talking—and listening—to each other instead.